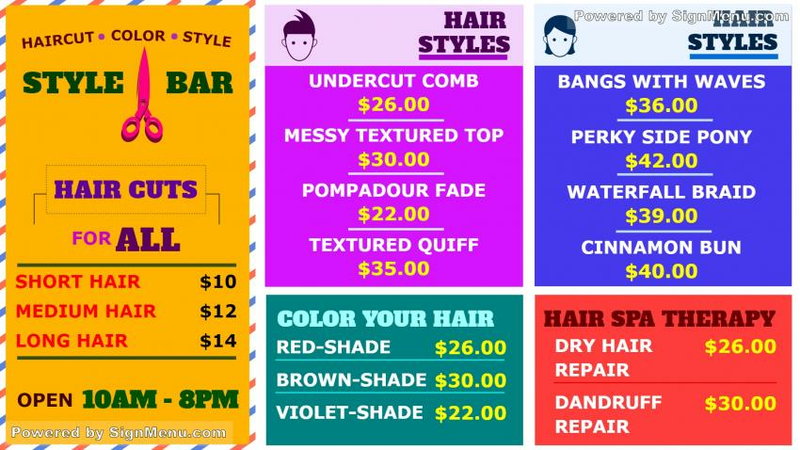 This template can best be showcased on a digital screen placed at the entrance as well as indoors of the salon. The screen will surely attract the target audience in the vicinity and the business will get loyal customers. This template is ready for download and use.